Thornton Cleveleys (UK), 21July2015: Victrex is further enhancing its ability to provide complete ‘integrated’ solutions following its acquisition of US-based polymer gears specialistKleiss Gears. 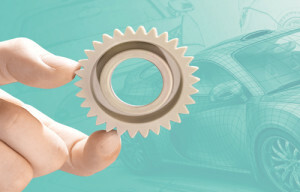 The acquisition by Victrex, the leading global PEEKpolymer-based solutions provider, will help facilitate the rapid development of answers to key challenges facing customers across industries, including enhanced durability and reliability, better performance, significant reductions in energy consumption and weight, and up to 50% reduction in noise, vibration and harshness (NVH), compared with metal gears. 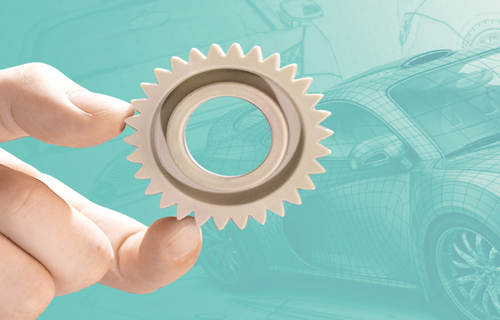 New and existing customerscan now benefit from integratedpolymer-based gear capabilities, including design, prototyping, testing, tool design and manufacture of polymer-based gears. Kleiss Gears has a proven track record stretching over 20 years of replacing and complementing metal gear systems with high-performance engineering polymer gears such as VICTREX® PEEK. The pairing of Kleiss Gears`high precision gear design, testing and manufacturing capability with Victrex’s materials technology, innovation focus, technical excellence and global commercial scale, provides a new integrated option for customers.Victrex, headquartered in the UK, is now able to better support the development of high performance polymergears for demanding applications in automotive, energy and other industries – whether a material solution or the complete integrated system solution that customers seek. Family-owned Kleiss has been and is at the forefront of gear and tool design, validation testing and manufactureof precision engineered polymer gears since 1995. Following the acquisition, Victrexwill be able to enhanceitsoffering, including rapid development processessuch as material selection, gear and tool design, testing andvalidation,and precision manufacturing capabilities. Thiswill enable customers to bring robust solutions to the market faster, and subsequently pave the way to greater mutual success. “We have been partnering with Victrex for many years and are convinced that our customers and end-users will benefit from a more integrated approach, enabling them to develop and launch gears that solve their key challenges with greatly reduced development cycles,” commentedRod Kleiss, President ofKleiss Gears. Victrex is an innovative world leader in high performance PEEKpolymer-based solutions with more than 35 years of experience. The company serves a diversified range of markets such as automotive, aerospace, electronics, energy and medical, and collaborates with industry leadersto provide solutions to their key challenges.